I am enjoying the Italian springtime at the moment and I can’t help but thinking about the amazing tomato crop that will soon be available at the local markets. There is absolutely nothing better than ripe Italian tomatoes! I must say though, that Australia too grows some delicious tomatoes, like the ones in this recipe. They look beautiful and they taste even better! A few days before leaving on holiday, I made this colourful salad and thoroughly enjoyed it. Don’t you just love colourful dishes? They immediately put a smile on my face and I can’t wait to dig in! I really like Halloumi cheese, especially pan fried, but remember that it’s quite salty, so be careful when adding salt to your vinaigrette. You can serve this salad as a side dish, an appetiser or even a main dish with some crusty bread, like my Ciabatta. Light and tasty! Enjoy! 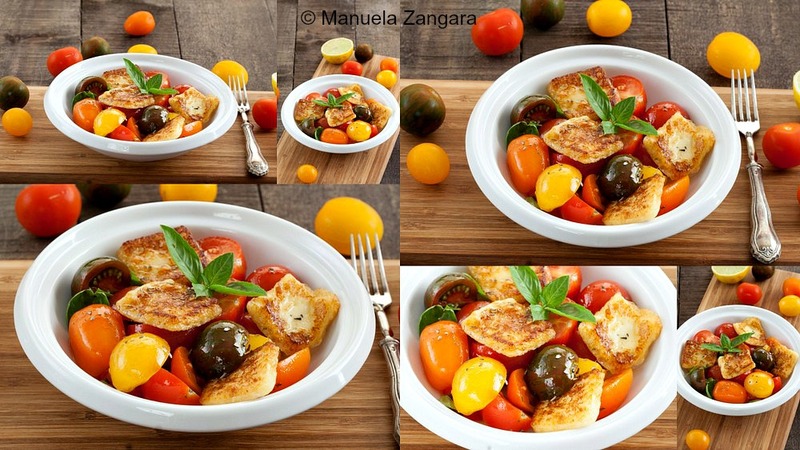 Mixed Tomato and Halloumi Salad - a colourful salad idea, perfect as a main dish or appetiser! 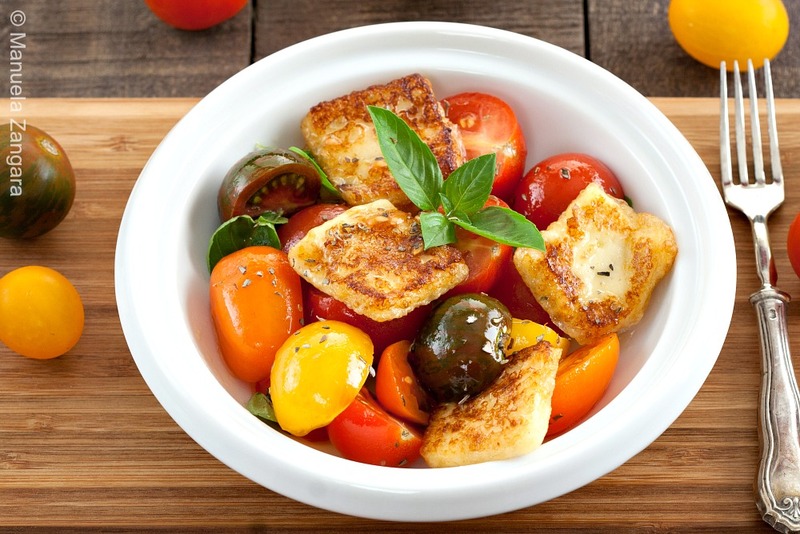 Cut the Halloumi cheese in 1 cm – ½ inch thick slices. 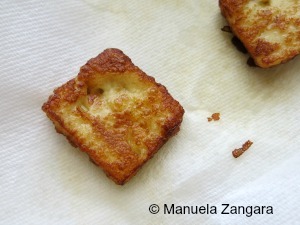 Pan fry them for a couple of minutes in a pan with extra virgin olive oil. 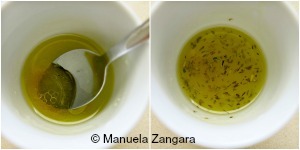 Keep them on a plate covered with kitchen paper to absorb the excess oil. 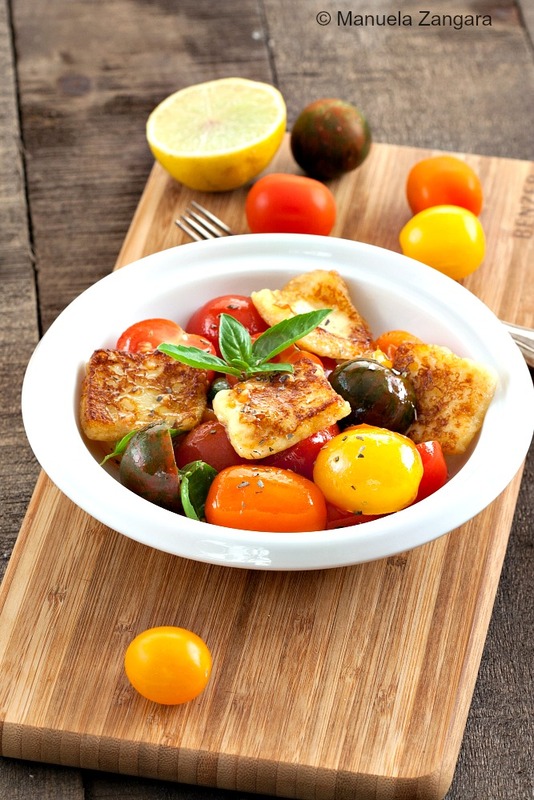 Put the halved tomatoes, pan fried Halloumi and basil leaves in a bowl and toss them with the vinaigrette. 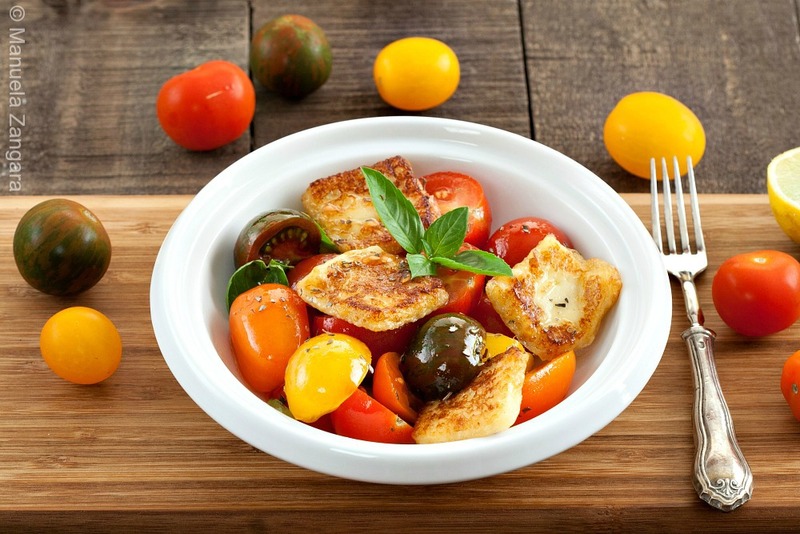 Festive is what we can say for this salad…Tomato and halloumi match well! This looks so simple and delicious! Can’t wait to try!